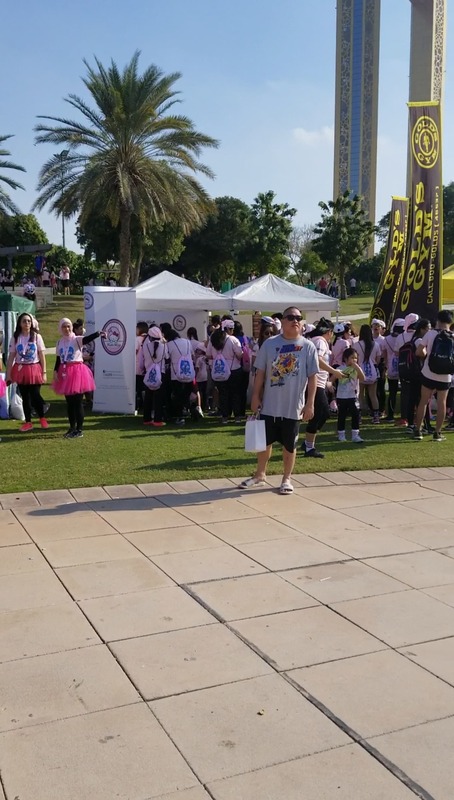 The last week, I attended for the first time the Hello Kitty run Dubai 2018. This event has been held in Dubai since 2016 so it’s the 3rd edition. It’s also already very popular in Asia, like in Manilla in Philippines, Malaysia or Thailand. But as i got tickets for this one, it was also the opportunity to visit Dubai for the first time. In fact, this race is used to promote the sport to prevent certain heart diseases due to poor nutrition or diabetes. And maybe it works ! 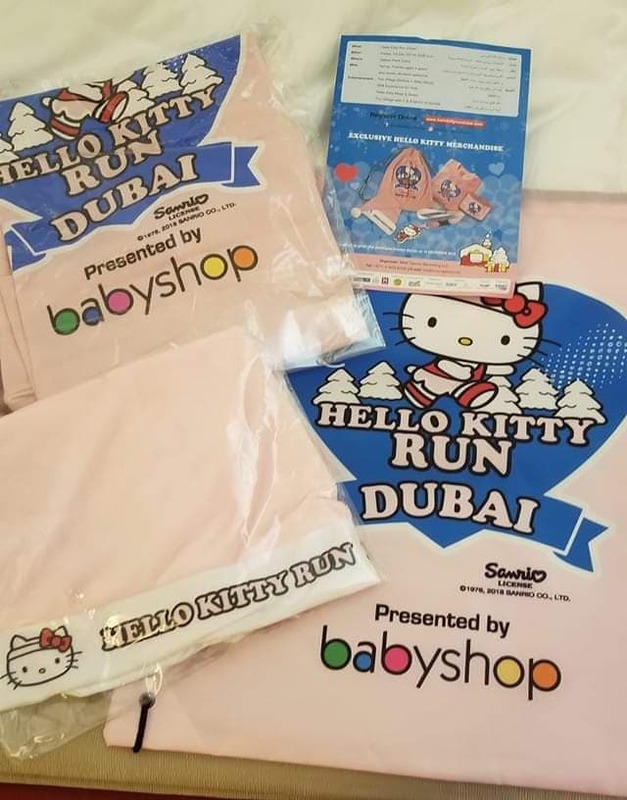 I don’t like running but running in a fun setting and with Hello Kitty, makes the ordeal less unpleasant. The first day, i directly collected my race kit at the Oasis Mall and lucky me there was no queue ! So the D-day I just had to wear my outfit to be ready ! The race kit included a t-shirt, a slim bag and a Christmas beany ! Very cute blue and baby pink colors with Hello Kitty of course ! 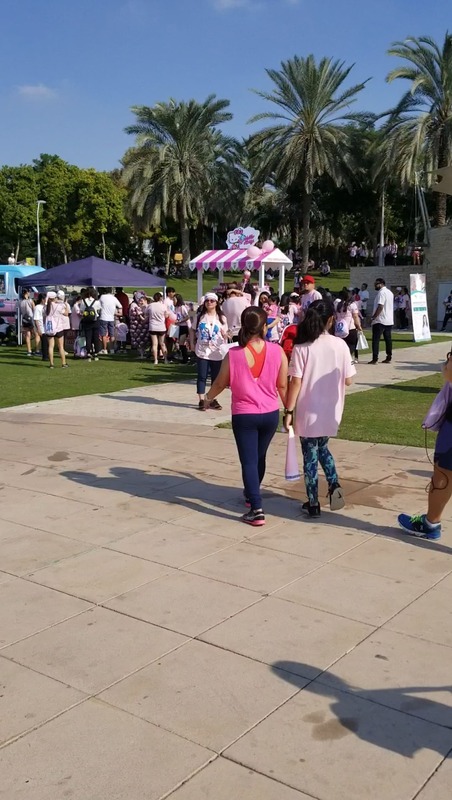 The Hello Kitty run is a friendly race and not a competition ! Fortunately for me, because I hate running ! So yes I must be sado for agreeing to do it ! 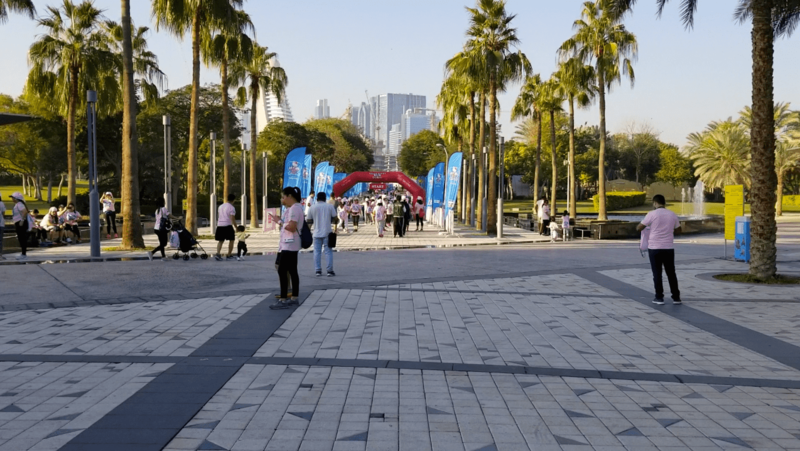 It took place at Zabeel Park, a very big and pretty park, not very far from my hotel ! When I arrived, the park was already animated ! There was a DJ who made people dance ! It was funny and there was really a good atmosphere ! Then it was time to start the race ! 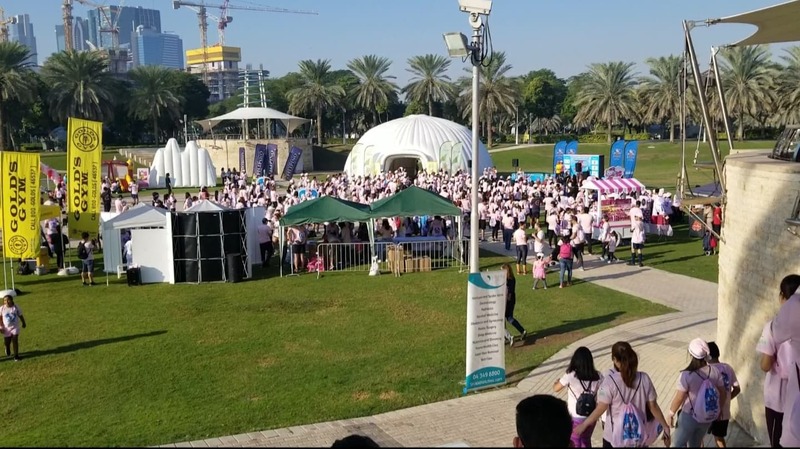 As you can see, there were so many people, men, women and kids as well from everywhere ! But most of them were filipinos ! 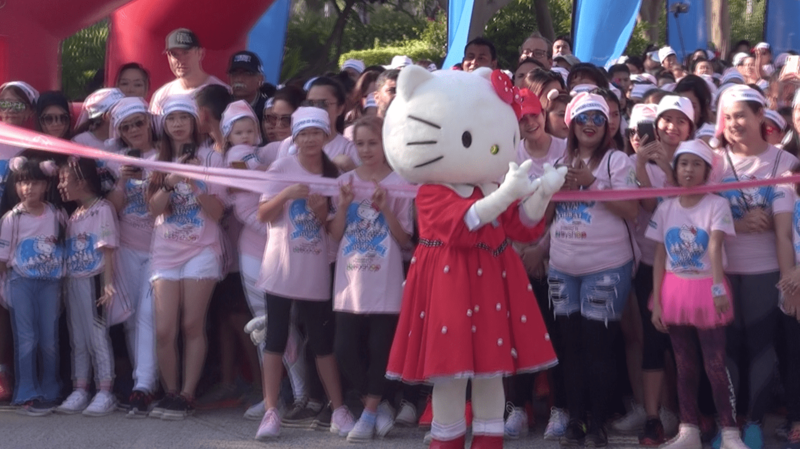 And Hello kitty was there to usher the start ! It’s a 5 km race that everyone does at their own pace ! And there were indications regarding the number of kilometers traveled. On the other hand, I was disappointed because the race was not happening in the park but around the park. I didn’t understand why ! And there was an unpleasant smell, not good on the side of the park where there is work ! It smelled really bad ! 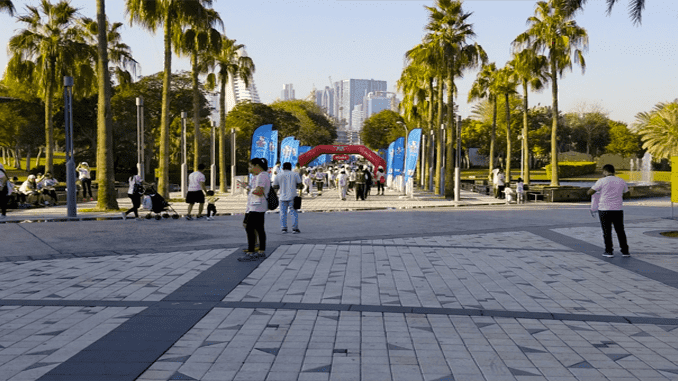 It would have been more pleasant to run in the park, but perhaps it was not necessary to spare other people who enjoyed the park. It shows on my face, I was already dead at 2km but I was trying to keep … by walking hahaha. When I finally finished the race, I received my medal ! My hair is a total mess, I look like Bianca from the game “Street fighter” but whatever I love my medal ! Finally comes the after-race which was happening at the back of the park with stands ! There was a Hello Kitty stand that only sold sweets … I pay attention to my teeth and sugar so I don’t eat candy. Nobody should actually ! I was expecting to see more Hello Kitty products than that, but it’s not a big deal ! The other stand was held by the Hello Kitty beauty spa ! I didn’t queue for this stand either but I know they were offering manicure. I’m not sure if it was a Hello Kitty manicure, but due to the big queue of people waiting and the details and time that this kind of manicure takes, probably not. Anyway i book a schedule for a massage in the Hello Kitty beauty spa ! So this was my first and last Hello Kitty run I would do ! It was just to prove to myself that I could do something that I hate in a nice setting and I’m glad I did it ! No matter how long it takes, always get to the bottom of things you started ! Also come and read my article about the Hello Kitty beauty spa in Dubai.